The titular antihero scarcely speaks and spends most of the first act chained to the front of a souped-up rig of the wasteland, but Mad Max: Fury Road still never lets its audience down, emerging as one of the most entertaining, ambitious films of 2015. After thirty years since Mad Max Beyond Thunderdome, Australian director George Miller sparingly made films with Lorenzo’s Oil, The Witches of Eastwick, a documentary, a Babe sequel, and two Happy Feet movies. Miller’s most-recent Mad Max entry proves the director has only improved with technological advancements. The intense, suspenseful chase scenes rival and succeed a similar thirteen-minute sequence from The Road Warrior. In fact, one could argue that Mad Max: Fury Road is in many avenues the motion picture that the filmmaker could have made in the early 1980s if only the technology had been at his disposal. Many doubted Miller’s ability to create another action film after really only handling two studio dramas in the late eighties and a couple animated, family films, but the filmmaker cements himself as an action legend with his newest offering. Shortly after the lizard scene, Max falls into bad company and is eventually forced to make terms with Imperator Furiosa, an unlikely hero and future feminist film icon with a mechanical arm played by Academy Award-winner Charlize Theron (A Million Ways to Die in the West, Prometheus). While the title features Max’s name, Furiosa shares half the protagonist duties. As Max runs and punches all over the wasteland trying to reconcile the death of his family, Furiosa defies authority and leads a tyrannical despot’s unwilling concubine to the safe, fertile land she remembers fondly from her childhood. 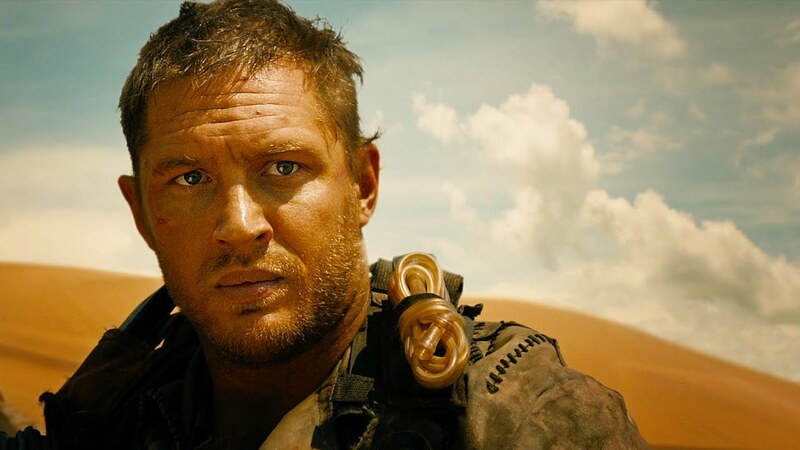 Max becomes embroiled in Furiosa’s plan, combining their fates to take the fight back to Immortan Joe, the despot of the wasteland who lords water over his people, harvests women for breast milk, and brainwashes boys to labor and die for him. Quality sci-fi always has a way of reflecting reality. 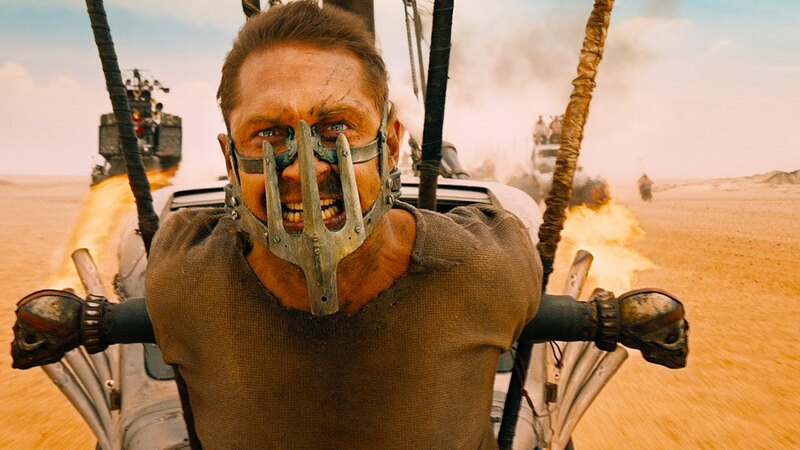 Mad Max: Fury Road also has the 3-D element that assists with the eye-popping excitement. While not a popular format when the first three Mad Max films originally premiered, the recent trend lends itself spectacularly to a film all about taking action to the next tier. While the film converted to 3-D in post-production, Miller shot with the technique in mind and even had fun playing with the depth when adding the dimension. While most post-apocalyptic films maintain a bleak, dark color palette, Miller’s wasteland features a multi-color dynamic adding to the 3-D value. Mad Max: Fury Road draws inspiration from an earlier entry in the franchise, The Road Warrior, with its extended, ridiculous chase sequences. Like all quality sci-fi narratives, the plot collects relevant, current issues and presents them in a unique, creative 3-D spectacle to make Furious 7 look like Driving Miss Daisy. Talented, in-demand leads Tom Hardy and Charlize Theron deliver pulse-pounding performances that add humanity to a world where being human seems like a strange concept. Director George Miller returns to an action franchise after thirty years, making his first R-rated movie since The Witches of Eastwick in 1987, and knocks it out of the park to deliver an action adventure in the same non-stop, perpetual action vein of Dredd and The Raid: Redemption.